In a previous report carried by this news site dated May 29, 2014 under the headline ‘Henry Creque to be pulled from BVIEC’ Creque had confirmed that he was being seconded but could not say if he was going to be placed under the Ministry of Communications and Works or the Ministry of Natural Resources and Labour. He was also unable to say what his new job title would be. This has aroused many questions among followers of this news site to the extent that it is felt that something is amiss since the position of Deputy General Manager for BVIEC has been publicly advertised. 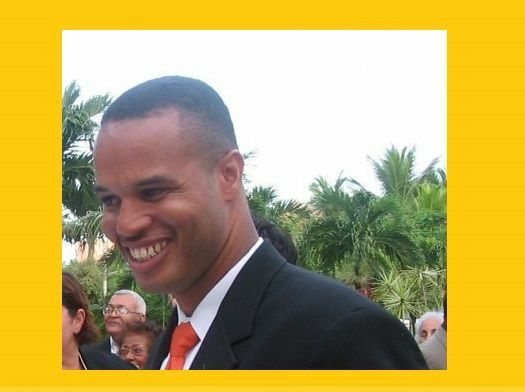 Hon Vanterpool in his interview with this news site said that Mr Creque’s shifting is still under discussion. “It is being discussed as to whether we can get him involved in helping us to focus more on a daily basis and on a broad basis on renewable energy and we are discussing how we can get him to become part of the central,” said Hon Vanterpool. According to Hon Vanterpool he is not certain whether Creque’s position would be that of a consultant. “He can be easily seconded to the government in terms of what we want him to focus on so that’s what we are discussing and hopefully we can conclude on it soon,” said Hon Vanterpool. He also said that while they have started some things and others being in the pipeline as it relates to renewable energy they want someone to be focused on that and help them with the programme. ROAD TOWN, Tortola, VI –Deputy General Manager of the BVI Electricity (BVIEC) Mr Henry O. Creque will soon be out of the position he currently holds and is likely to sit in an office of either one of two Ministries: the Ministry of Communications and Works or Ministry of Natural Resources and Labour. This information was confirmed by Mr Creque when contacted earlier today May 29, 2014. 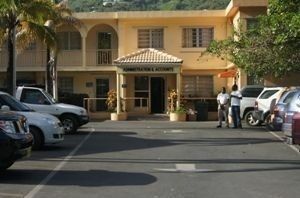 Informed and reliable sources who have had a close eye on the developments that have been taking place in the Virgin Islands told this news site that the move to relocate Mr Creque is regrettable. It is the understanding that his moving has lots to do with his challenging a number of moves that are being explored and likely to come on stream in the company. “Henry is the one that is showing them certain things that would help save the government millions of dollars but they are bent of doing their thing so they are getting rid of him,” said one of our sources. It is believed that there has been a number of ‘teething’ issues as it surrounds the phase 5 expansion project of the BVIEC. However Mr Creque has refuted these claims and said that while the modalities are still being worked out, he will be moving to take up another post which would see him spearheading the government’s Renewable Energy Initiative. “It’s not formalized as yet,” he said. It was confirmed also that the position for a replacement to sit as the Deputy Managing Director of the BVIEC is being advertised presently. Asked if he wants to move Mr Creque said, “I am willing to do whatever is necessary in assisting in moving the country forward.” He said that if same can be done by staying at BVIEC he would but he sees his expertise as well needed with the new initiative. He said that he had absolutely no knowledge of his moving having anything with his being a block to management’s intentions for Phase 5 of the extension plans. The National Democratic Party (NDP) led government of the Virgin Islands is being accused of ‘re-wiring’ systems put in place by the former Virgin Islands Party (VIP) Government especially as it relates to positioning some key well trained and qualified persons who were placed in positions to eventually take up more senior roles at some government entities. The removing of Mr Creque, they say, is one of several. Reference was made of Dr Drexel M. Glasgow who was removed from Public Works Department, Mr Bernard Grant from Water and Sewage Department among others. “Why move these people? They are the well qualified brains that would have sat to the head of those entities and take them forward,” questioned our source. As it relates to Mr Creque’s secondment efforts to reach the General Manager of BVIEC Mr Leroy A.E. Abraham and Director of the BIVEC Board Mr Ron R. Potter were futile. It was said that Mr Abraham would not be in office before sometime tomorrow May 30, 2014. Don't be foolish, Henry is being side lined so that the higher authorities can carry out their ill conceived plans for the Electricity Corp. Wait, hear and see. ABC-i thank you for the update...keep up the good work !!!! Another BVIEC deputy gone? Hmmm. What going on in that place buddy? Many moons ago I prophesied that the Electricity Corp. would face many challenges this year and that the Territory's electricity supply will become sparatic on account of the aging generators which cannot be replaced on account of the country's financial crisis. It is unfortunate that Henry, an honest and hard working member of the Corperation has been side lined for dubious reasons. I dear say however, that when ones integrity is at stake, it is far better to exit than to be associated with highly questionable decisions. I am deeply concerned about the present trend which will leave this country and successive Governments with few critical assets under its control for decades to come. We have, for all intents and purposes, lost the Port and it should surprise no one if the Electricity Corp. follows in like manner. The troubling question is, where is the Minister of Finance in all of this. Will he be given another shovel to bury the Corperation as he did with the Port? Only time will tell. It's called victimisation. Been in Henry's shoes but God is in control. Check who wants Henry gone! Start looking from the top. Henry you are loved by your people at Electricity. They won't remain silent with this. This decision has to be reversed or we will march and close the plant!!!! Henry is too professional and diciplined to say anything or voie his concerns but we will speak for him! Mr. Minister Sir, shame on you for ignoring the cries of the workers of the BVIEC. Well Mr. Minister it is probably you after so many cautions and alerts. All eyes on you boss man. Even who you think is not watching you watching so you better clear the air and give off a sweet scent. This person is going to hell. This person was jealous of me.